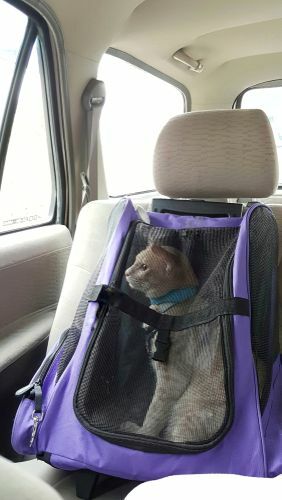 Your cat’s carrier should be a comfortable, safe place to be. The best type of carrier should have multiple openings. (i.e. open from the front as well as from the top). It is also best to be able to have the top completely separate from the bottom. Leave the carrier out ALL the time. Make it cozy! Use a nice bed, give treats/food in the carrier, provide catnip toys, and use Feliway on the blankets/beds. Use a carrier of an appropriate size – your cat must be able to stand up, turn around and lie down comfortably. It is best to bring multiple cats in separate carriers. Feliway is clinically proven to help reduce behaviors caused by stress. It is a synthetic pheromone that helps reduce stress-related behaviors by mimicking the feline facial pheromone in cats produce naturally. It is available in a spray for short termuse, or a diffuser for long term use. ​​​​​​​Keep familiar blankets/toys in the carrier for travel. Spray Feliway on blankets/beds. Play calming music - classical and species-specific (there’s an app!) is ideal. Start the music 10 minutes prior to leaving the house and continue playing it during the ride. Cover the carrier with a towel sprayed with Feliway. Make sure the carrier is stable. The ideal place is on the floor, behind the passenger seat. When carrying the carrier, do not use the handle. Hold with two hands at waist height. While driving, avoid sudden stops and turns. If your cat is very stressed, call from the parking lot so we can place you and your cat directly into an exam room. Keep the carrier covered with a Feliway infused towel. Cats like to be high. Place carrier on a shelf in the cat room or on the table in the exam room. DO NOT pull the cat out of the carrier once in the exam room. 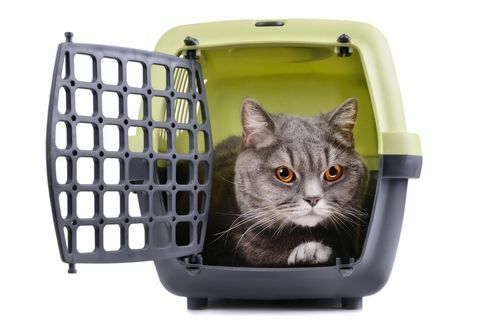 Open all exits of the carrier and wait for the cat to come out on his/her own. If your cat does not come out on their own, the carrier will be unassembled so they can remain in the bottom of the carrier during the exam. Your cat will be given a variety of food/treats. If they have any allergies, please let us know. ​​​​Today may not be the day. Sometimes, pets may become fearful and/or stressed and the appointment cannot continue. It is best to reschedule the exam and change the pre-visit protocol to try to have a more successful visit. If we are following all of these tips and your cat is still upset or stressed while here, we suggest trying some medications to help them relax and minimize stress. Composure Pro – This is an all-natural supplement that can be used prior to a single stressful event, or long-term to help with daily anxieties. Trazodone – This is an anti-anxiety medication. This should be given the night before and the morning of the appointment. Gabapentin – This is a pain medication that has some sedative effects. This will often make them sleepy. This should be given the night before and the morning of the appointment. Your veterinarian will work with you to tailor a medication plan for your cat. Make sure that you do a trial run with any medication in a stressful place or come to Pittsfield Vet a day before the actual appointment. 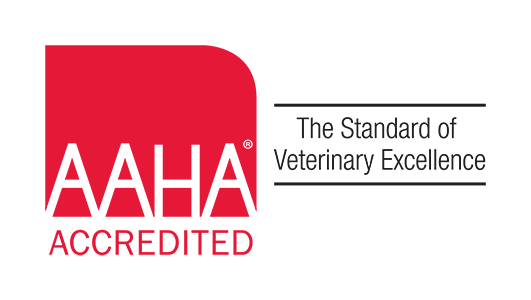 Copyright © 2019 Pittsfield Veterinary Hospital. All rights reserved.